← Annual Pig Roast THIS SATURDAY! 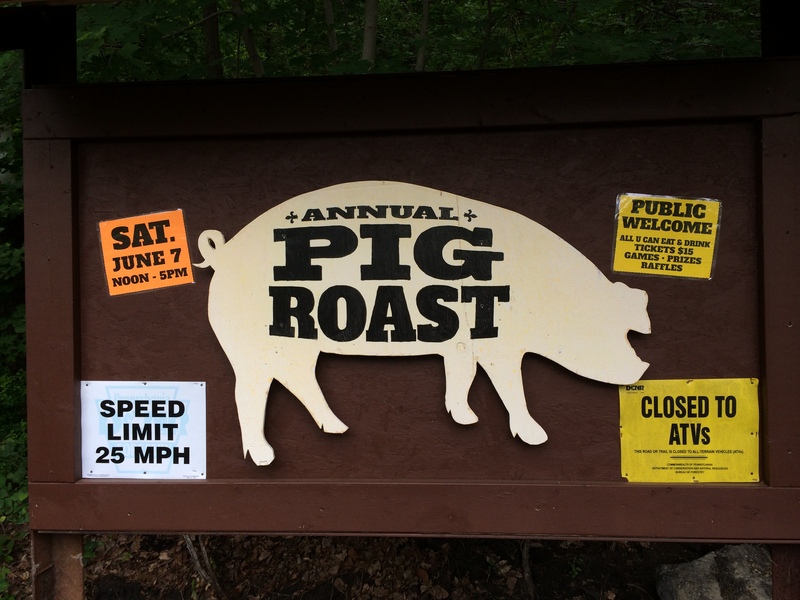 Pig Roast THIS SATURDAY, June 7 from Noon – 5pm!!! Preparations for the Pig Roast this Saturday are under way. The pig will be roasted in a large pit, filled with wood & rocks set on the coals. There will also be chicken, hot dogs, beer, soda, soup, chili, filling & much more. You won’t leave hungry. Please remember that the Pig Roast is open to the public, so bring your friends or relatives along! We are starting to plan for the new dues year (August to August). Scott will be working on getting gun tickets for the entire year, so they will hopefully be ready to grab when you re-up your membership or for new members joining up. The dues will still be $355 for members who sell gun tickets (mandatory 6+ tickets at $5 each month). For members who do not wish to sell tickets, they can pay a flat $550 up front in August. There will be an OPEN HOUSE tour on Saturday, July 26 at Noon. Anyone who is interested in joining, please plan on attending then. If members have any friends or relatives who have expressed interest in joining up, NOW is the time to start thinking about that so they can be ready for the fall. See you all at the Pig Roast on Saturday!